Do you want to buy Ovens, stoves, ovens? Our team knows how hard it is to find the best offer in the UAE. That's why we've gathered 0 e-shops from all over the country! You can select and compare prices among 10 product offers without leaving your armchair. Large amount of offers will help you to choose device for any color and taste. We've found the best prices for you. Choose among Ovens, stoves, ovens from 2,199 AED up to 4,649 AED. 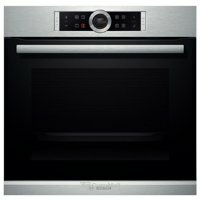 Also you can read comments, reviews about the Ovens, stoves, ovens, watch photos and video-reviews. To order the product you need to go to the shop partner page and make a purchase. Don't forget to ask about payment methods and delivery! AKAI OVEN EOMA40BR 40 Ltrs Capacity, 4 Knobs, Rotisserie with Grill, Inside Lamp, 6 Stage selector, 60 Minute Timer Control with Bell, High Quality Stainless Steel Heating Elements. 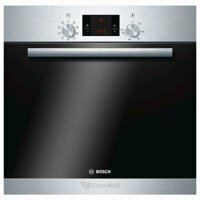 EMJOI OVEN UETO-21LT Emjoi Electrical Oven - 21Ltr, Power 1380W. Adjustable temperature control between 100 - 250C. Switch for up&down heaters. 60 minutes timer with bell ring. 4 stainless steel heating elements Cooking tray. Stainless steel rack. BLACK & DECKER OVEN TOASTER GRILLER TRO2000R-B5 19 ltrs capacity, 1380 watts, oven toaster with rotisserie function, toast bake broil function, wire rack, non stick food tray. 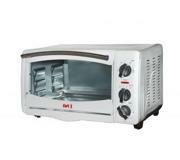 EMJOI OVEN TOASTER EUTO-45LR Big capacity 45 Liters. 2000 Watt. 60 min. timer with bell ring. Stainless steel heating element. 5 stages switch heating selection: Off/Upper heating/Rotisserie heating/Lower heating/Upper & lower heating. 2 Years Warranty. DAEWOO OVEN DEO-3631BTS 35L Electric oven, Stainless steel mask oven, Turbo fan, 5 modes. total power 1300, Top heater 650w, Bottom heater 650w. 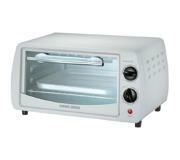 BLACK & DECKER OVEN TOASTER GRILLER TRO60-B5 + KETTLE 42 LTRS CAPACITY, 1800 WATTS OF POWER, 220V, CONVECTION FUNCTION. NON STICK FOOD TRAY AND CRUMB TRAY, WIRE RACK AND FOOD TRAY WITH HANDLE. DAEWOO OVEN DEO-4523BTS 45L Electric oven, Stainless steel mask oven, Turbo fan, 5 modes. total power 1400, Top heater 600w, Bottom heater 800w.